The Turls Green01274 718330work Public HouseLloyds No.1 is a Cask Marque accredited pub. Situated in centenary square with a good outdoor seating area facing the Big Screen (Centenary Square), a great location for viewing sporting events on the BBC. Food available - JD Wetherspoon pubs/bars have steadily built a reputation for serving great-tasting food. Television screens showing terrestrial subtitled news and terrestrial sport throughout the day. Children are allowed on the premises of The Turls Green, however it is advisable to call us on 01274 718330 in advance to check specific child restrictions. 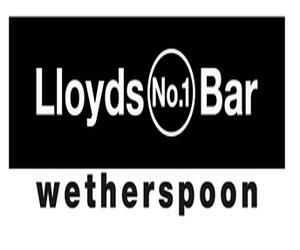 Lloyds No.1 is a Cask Marque accredited pub. Situated in centenary square with a good outdoor seating area facing the Big Screen (Centenary Square), a great location for viewing sporting events on the BBC.